In this workshop, we will explore ‘Disobedient Art’ -merging art and activism into new forms of resistance- as a strategy to generate affect and effect. In this workshop, we will explore ‘Disobedient Art’ -merging art and activism into new forms of resistance- as a strategy to generate affect and effect. When it comes to bringing about social change, effect and affect are intertwined and inseparable means to achieve concrete, measurable change through moving and engaging people emotionally. Founded in 2016, Fossil Free Culture NL are a collective of artists and cultural workers operating at the intersection of art and activism. 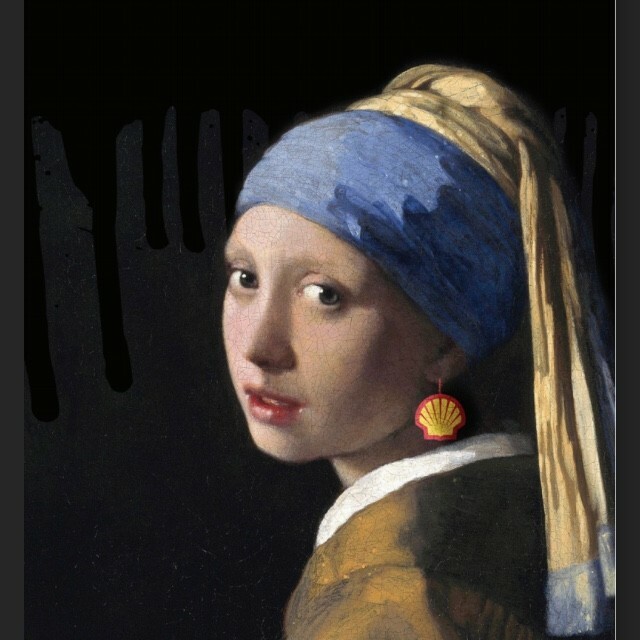 They are committed to bringing an end to oil and gas sponsorship of public cultural institutions in The Netherlands. In their practice, direct action and performance art are interchangeable vehicles of social transformation.